Travelling within Malaysia is easier than you think. Just hop on a bus and let the bus operator take you safely to the town that you are heading into. It is affordable and very convenient. You do not even need to go through the trouble of queuing up at the ticketing counter just to get a bus ticket. This is where we come in handy for all your travelling needs. Easybook offers the largest land and sea transport booking website in Southeast Asia, so you can now book your tickets online at the comfort of your space with ease. If you are ever going to or leaving Terengganu, you have the option to choose to travel with Mega Jaya Express, which is a well-known bus company in Kuala Terengganu that provides various routes for you. Follow these simple booking guide and you are on your way to getting your Mega Jaya bus ticket confirmation in your email inbox! 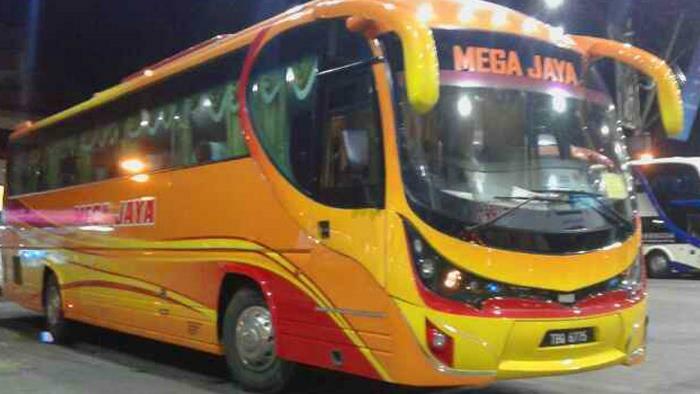 Some of the most popular trips with Mega Jaya are within Terengganu, Selangor and Kuala Lumpur. That is Mega Jaya Express’focus when it comes to their bus routes in order to give you the best services. With air-conditioning systems in each of the buses, you can sit back on the comfortable seats and enjoy a smooth ride from your pick-up point right until your drop-off point. Bring a book to read or listen to some new music on your phone during your travel time to make it even more pleasurable. Below are just some of the trips available through Easybook when you choose to travel with Mega Jaya Express within Terengganu, Kuala Lumpur and Selangor. Please check our website for the full schedule that includes the time and price for your preferred trips with Mega Jaya bus. Note that most of their bus services leave from the Hentian Bas Majlis Perbandaran Kuala Terengganu (MPKT), which acts as Mega Jaya Express’ headquarter as well. The next time you are planning to head to your hometown in Terengganu, keep Mega Jaya in mind for your bus ticket online booking with Easybook. Let Mega Jaya Express take you to some of the most exciting spots in the state of Terengganu or simply to return back to the busy city of Kuala Lumpur that conveniently stops at Terminal Bersepadu Selatan (TBS). Don’t go through the trouble to sit in the traffic just to go buy your Mega Jaya ticket when you can do it conveniently through your laptop or simply download the Easybook mobile app.